﻿Inner Power Yoga offers Affordable Yoga classes in a safe and nurturing environment offering students tools for personal change by strengthening their Inner Power. Inner Power Yoga offers Hatha Yoga classes in group, or 1 to 1. We believe that every individual has unlimited source of energy and power within themselves. This power can enable every person to live life to the fullest. However, and due to personal experience, we can sometimes feel disconnected from this power. Yoga, meditation and visualization can help to look within and find the balance we need to restore that Inner Power. 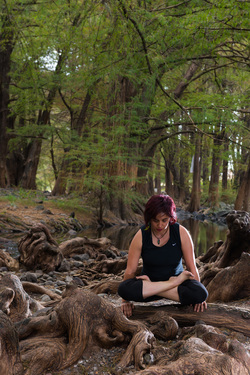 Inner Power Yoga uses Visualization, breathing exercises and Asanas (or Postures) to enable you to bring balance and re-connect with your inner Power. Yoga should be available to everyone regardless of their Income. If you want to practice Yoga, but do not have enough money to do so, contact Inner Power Yoga and we will get back to you shortly. We do offer free Yoga classes (depending on availability) to those who really cant afford Yoga.